Calling People 'Fat' Would Spur Weight Loss: UK Official : The Two-Way Britain's public health minister said calling people fat would motivate more to lose weight. Britain's public health minister has an idea. If British health providers in the National Health Service dispensed with all the political correctness and called their hefty patients "fat" instead of "obese", maybe it would spur (or shame?) more people to lose weight. 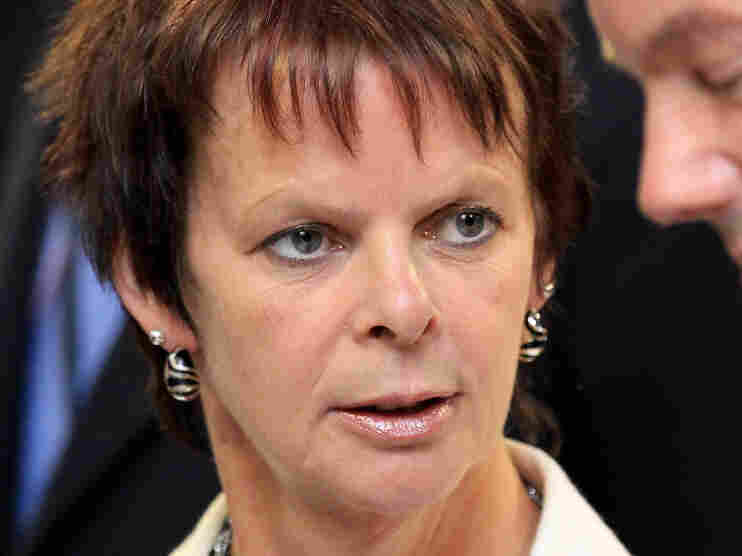 Anne Milton told the BBC the term fat was more likely to motivate them into losing weight. She said it was important people should take "personal responsibility" for their lifestyles. But health experts said the word could stigmatise those who are overweight. Ms Milton, who stressed she was speaking in a personal capacity, said: "If I look in the mirror and think I am obese I think I am less worried [than] if I think I am fat." Milton, a member of the Conservative Party, is a former nurse. Which makes me wonder about her bedside manner when she was a health-care practitioner. The problem of obesity, I'm thinking, is less about the use of one word versus another and probably more about sedentary Western cultures and the relatively inexpensiveness of foods high in calories and low in nutrition.